Animals are great friends and if you are having that urge to get a lovable sweet little pup, or your kid just pleas for a pet, then here is a time to ponder on this idea. It’s ideal time to bring home a furry friend and have that love of entire world in your home to relish. Well, well, well today there are lot more choices when it comes to choose a furry pal, and a pet usually becomes your best friend and caring companion. However, there are some crucial things that you need to pay attention before settling to choose and adopt a pet. When looking for a pet, don’t make impulse decision. Don’t be in a rush when opting to add a furry pal in your family. Adopting or purchasing a pet shouldn’t be in a whim. Make it a deliberate thought-provoking process. Sometimes, decisions made in a hurry is not the right one as you may not be knowing what really fits your needs. Talk to your relatives, friends or neighbors all about pet parenting and pet adoption and get a complete insight into it. Just don’t be in a HURRY! Just visiting some pet shop and picking up a cuddly animal is not what you may be wanting in a long run. Take time to learn about all kinds of pets before considering buying. Remember that a new pet has a great impact on your family and can even change the structure of your house. If you are considering to purchase a dog, get knowledge about the special qualities of different breeds. Dogs are different in their personalities and appearances according to their breeds. Pay a visit to some of these organizations to interact with the animals there in a quiet surrounding on a one-to-one basis. Every time interact with different animal. This helps to find out with which species you can go along well. Depending on your personality, you can settle on a perfect choice. Whether you are a cuddly being or an active person, a night person or an early riser, you can look for the one. Dogs can be perfect match for active people and for a night person, a cat can be the best partner. Are you living in an apartment or a bungalow? How much space you occupy and how much free space you have? Do you have back yard or a fenced surrounding? Think about all these things when you are looking to opt for your furry partner. 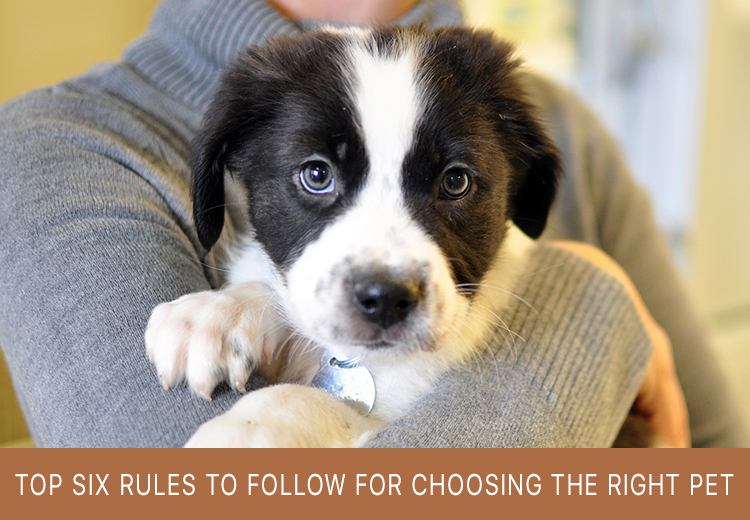 This is the most important factor that you need to consider when looking for pet adoption. If you think that buying a pet is just a one-time purchase, then you need to look beyond. There are various needs of a pet that you have to fulfil when you are on the verge of becoming a pet parent. Whether, it is about their food, shelter or pet supplies, you have to calculate all and there should never be any exceptions for treatments like Flea And Tick Preventives, heartwormers and Wormers along with other health supplements when required. At times, your pet may also need expensive vet care, grooming and pet sitters. Overall, if you are ready with all these things and open to any challenges that may come due to your furry pal, then adding that cute little four-legged companion is just a wonderful experience on this earth.